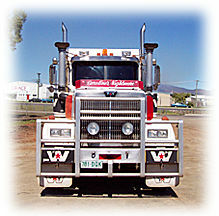 Freightwest has an impressive manifest of trailers and associated equipment at its disposal. Road train rated prime movers. Body trucks with fixed cranes, one with dog trailer, for ease of loading and unloading up to a tonne at a time with up to 24 tonnes carrying capacity. 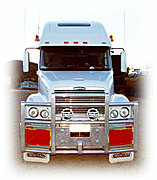 Flat top trailers with road train configuration.